When the use of instant replay by NFL officials was first proposed, critics said it would harm the games by taking too much time and removing one of the human elements they consider a vital part of each contest. Advocates (the camp I was in) pointed out that it was silly to have the fans at home able to see everything that happened on a play, but not give the refs the oppportunity to see it, as well. If the mission was to get it right, then replay could only help. As for making the games too long, that’s a complaint for baseball, not for the NFL — unless the Arizona Cardinals are playing the San Francisco 49ers, in which case the game can’t end soon enough. Now, after years of use, there’s no debating that using replay — allowing coaches and league officials to correct a mistaken call, verify a reception, or see if the ball has broken the plane of the goal line — has been overwhelmingly positive. But it’s not perfect, and yesterday’s Saints-Rams NFC Championship Game is the best example yet of how it still needs to be improved. 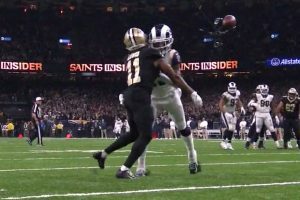 On a crucial late-game play, the referees’ non-call of blatantly obvious pass interference by a Rams defender on a Saints receiver was inexcusable, and should now be the impetus for a change in the NFL’s rules: whoever’s monitoring the game at the league’s New York headquarters must have the power to jump in, stop the action, and point out the glaring error. You can’t go back and correct yesterday’s mistake, but you can update the rulebook so such an egregious blown call (or non-call) doesn’t happen again. I’m particularly mad about this because it means I’m going to have to see multiple shots of evil Rams owner Stan Kroenke in two weeks during the Super Bowl. Like most St. Louisans, we despise the guy for the way he screwed our city out of an NFL franchise, despite fans here regularly filling the dome to more than 85% capacity even while he purposefully drained it of valuable assets — and kept lame coach Jeff Fisher in place — year after year after year. Kroenke doesn’t care one bit about the fans; his only interest is in the almighty dollar. Why, I’d be shocked to hear that after yesterday’s victory he hasn’t doubled the PSL price for seats in his new LA stadium. Even the biggest Patriots detractors have to admit that Bill Bellichick is a genius at preparing his team for battle and then calling a brilliant game, assisted mightily by the still-remarkable-at-40 Tom Brady. Do you want to bet against them against the Rams? By the way, the opening line in Vegas was Patriots -1.5 with an over/under of 58.5. Though they came up short, the Chiefs had a great season, and the success of Patrick Mahomes at quarterback should strike fear in every other team in the AFC West. Tony Romo has quickly proven himself to be the best NFL TV analyst not named Cris Collinsworth. He and Jim Nance make a great team, with Romo regularly explaining how and why certain plays work — often before they even happen. Leave Gladys Knight alone. She’s getting flack for agreeing to sing the national anthem at the Super Bowl by people who hate the NFL because no one in the league will hire Colin Kapernick. But that’s not Knight’s fault, any more than you can blame Melissa Etheridge and Jimmy Buffett, who did the anthem before yesterday’s games. Besides, Gladys is 74 years old, an age at which her career isn’t going to be hurt by anything. Speaking of Jimmy Buffett, I was surprised by his appearance because I wasn’t altogether sure he was still alive. Speaking of Buffett and Knight and Etheridge, how’s that for a trio of performers who won’t attract younger demos? Then again, who the hell tunes in to an NFL game to see anyone of any age sing anything? Best move by the NFL broadcasters in recent years has been hiring former referees to give instant and detailed rules interpretations during replays and other close calls.  You don’t have to look any further for proof of their value than yesterday’s games, during which Mike Pereira on Fox and Gene Steratore on CBS got more airtime than all the sideline reporters combined. Speaking of sideline reporters, have any of them ever given us valuable information during their thirty-second breathless summaries of what the coaches told them as the teams trotted off to the locker room for halftime? I don’t blame the reporters, who are only doing what their producers (and tradition) dictate they must do, but the results are about as incite-free as Howie Long pretending to be impartial about a game one of his sons is playing in. And finally, remember when Trump took credit for last year’s slightly decreased NFL viewership and the supposed boycotts by his white nationalist base? Well, that didn’t last long. This season, the numbers were up about 7% — and the postseason games are way in front of everything else on television (yes, including “Bird Box” and “The Masked Singer”). Even guys in MAGA hats are still watching the damn games and screaming about the officiating.